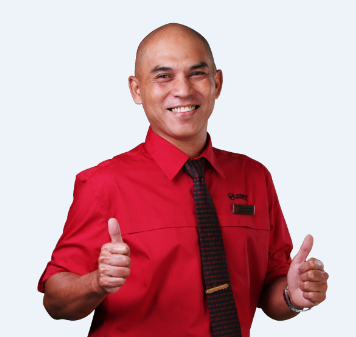 Service excellence is one of SMRT’s core values. Our service excellence ambassadors frequently go beyond the call of duty to help our commuters. Some of our staff have been fortunate to be awarded the National Kindness Award – Transport Gold 2017. Senior Assistant Station Manager Amran Bin Abdul’s family and friends know that he is always extending a helping hand. In December 2017, when MRT stations on the North-South and East-West Lines were closed to facilitate maintenance work, Amran took the initiative to return to work even though his shift had ended. He was about to take a bus home, when he decided to turn around and change into his uniform again. “When I ended my shift around 8.30pm, it was raining heavily. I knew that the interchange was going to be crowded with commuters. I just felt my colleagues could use the extra help to guide commuters to the shuttle buses,” said Amran, who has been working at Jurong East MRT station for the last 18 years. Amran was approached by a commuter who was accompanying an elderly man trying to get to Boon Lay. Despite being offered a wheelchair, the elderly passenger insisted on walking to the bus stop where the shuttle bus services were picking up passengers. Amran patiently assisted the passenger to the bus stop and waited for the bus with him. He made sure that the gentleman safely boarded the bus, before he continued with other duties. Thank you for travelling with SMRT. We will continue to work hard to bring on smiles, every day and in everyone who journeys with us. Delivering a world-class transport service that is safe, reliable and customer-centric is at the heart of what we do. 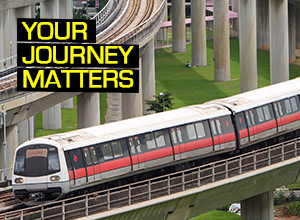 As Singapore’s iconic train operator, we carry more than two million passengers on our train network daily. Throughout our 30 years of service, we have connected communities and transformed the way people live, work and play. As we embark on our next leg, your journey matters. We look forward to the boundless opportunities to continue serving you and delivering safe and reliable travel experiences. Firstly, we thank you for your support! 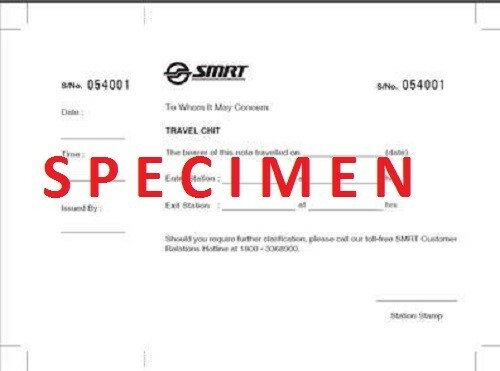 With 162 compliments to every complaint received, your feedback goes a long way in encouraging SMRT staff. Always there to help you, our station managers and ambassadors are ever-willing to go the extra mile to make you feel safe and comfortable on our trains. 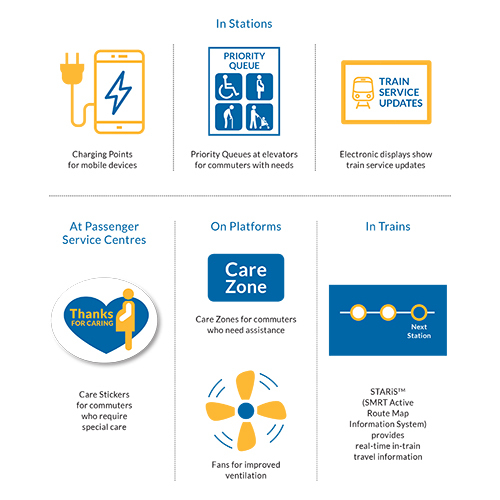 Feel free to tap on the many commuter service touchpoints we have across our stations, passenger service centres, platforms and trains to make your commute with us more comfortable. Stay in touch with us through our digital platforms. Our two-way communication channels provide you with real time travel updates and a platform to give us feedback too. 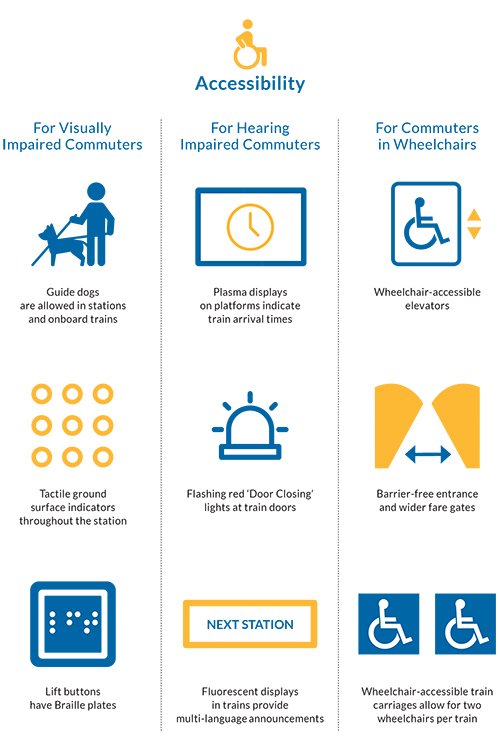 At SMRT, we strive to create and provide a safe, inclusive and accessible environment for all our commuters. Here are just some initiatives we have implemented. 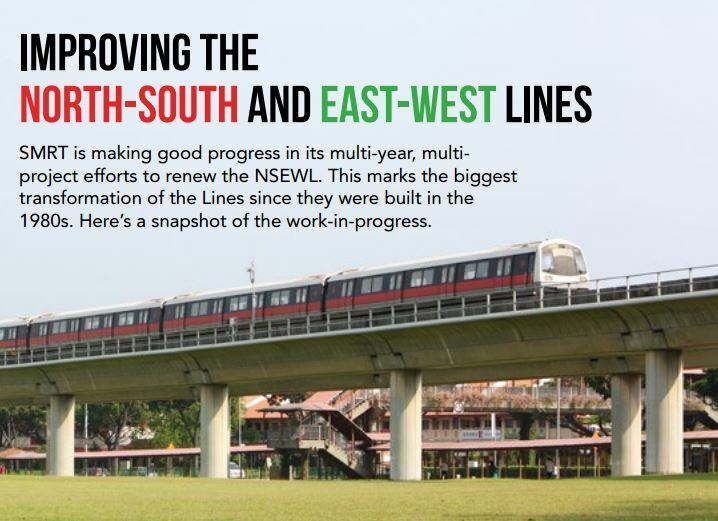 SMRT Trains will continue to bring you greater convenience and comfort. From next week (week commencing 29 May 2017), system-level performance checks on the new signalling system for the North-South Line (NSL) will be carried out on weekdays. 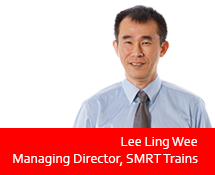 The intensive weekday runs follow the Sunday checks done since 16 April 2017, and will allow SMRT and the Land Transport Authority (LTA) to carry out continuous checks on the new signalling system. 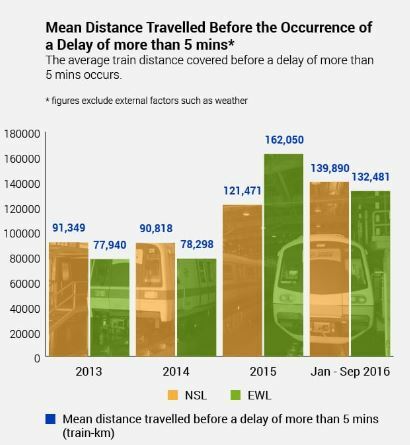 Engineers from SMRT, LTA and Thales, the supplier of the signalling system, have been monitoring the performance of the signalling system closely since NSL trains began serving passengers using the new signalling system in late March. Engineers continue to rectify teething issues. These include achieving higher accuracy of train and station door alignment, better coordination between closure of train and station doors, familiarising train captains with operating the new system in inclement weather and allowing maintenance teams to troubleshoot and rectify faults with the new system. The weekday system-level performance checks will allow the system engineers to further fine-tune and improve the operational performance of the system. 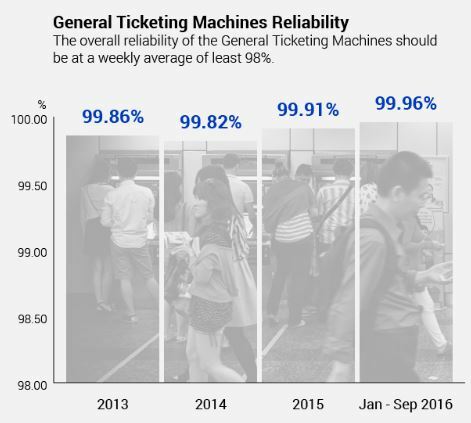 These checks on the NSL – Singapore’s oldest MRT line – will furnish engineers and maintenance staff with data on the performance of the new signalling system, with the number of trains deployed on the NSL and the interval between each train varying from peak and non-peak hours. Such data will be assessed closely as part of rigorous checks before the system is declared fully capable of eventually supporting train operations at intervals of as short as 100 seconds between each train. During the weekday system checks, the new signalling system may continue to encounter some glitches as it settles in to full-load operations. Commuters on the NSL could experience instances of train and platform doors not opening or closing promptly, trains held at stations slightly longer than usual, or trains stopping momentarily between stations. In earlier trials which took place during the last hour of passenger service, and during Sunday trials, the safety system stopped trains momentarily so that engineering staff could address signal glitches. The new Communications-Based Train Control signalling system is designed with this safety feature which ensures trains will be kept at a proper distance from one another at all times. Such situations are not safety critical and SMRT, LTA and Thales will have more engineers on standby to respond quickly to situations that may arise. More station staff will also be on hand to assist commuters. These weekday system checks have been planned to commence during the June holidays to minimise commuter inconvenience. However, those travelling on the NSL are still advised to cater for additional travelling time. 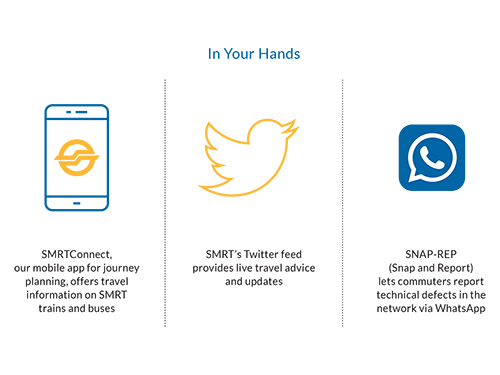 Commuters can refer to SMRT’s Facebook and Twitter feed, as well as the SMRT Connect and MyTransport travel apps for service updates. 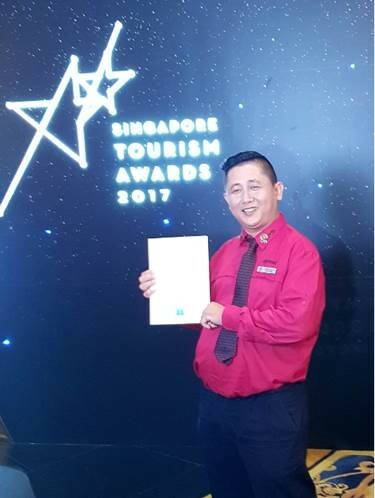 Senior Station Manager Katijah Bte Sarbu won the Best Customer Service for Transport award at the Singapore Tourism Awards 2017. This was SMRT Corporation’s fourth consecutive win in the category. Katijah receiving the award from Mr S Iswaran, Minister for Trade and Industry (Industry) (centre) and Mr Lionel Yeo, Chief Executive, Singapore Tourism Board (left). Bus Captain Chia Boon Siong was a finalist in the same category. Having been in the industry for four years, he believes that it is important to treat his passengers with patience and care. He pays special attention to senior citizens, and ensures they board and alight safely, and that elderly commuters are seated before the bus moves off. He once helped an elderly man and wheelchair-bound wife board the bus on a rainy day. Although he was thoroughly drenched in the process, he still continued his work in a most cheerful manner. A familiar figure to passengers who take Service 858, Boon Siong says that he enjoys helping others, “I always want to bring a smile to every person who journeys with me. Though it seems like a small thing, it makes me very happy.” He has taken the initiative to learn the names and general information of key landmarks along the route so that he can respond effectively to commuter queries. 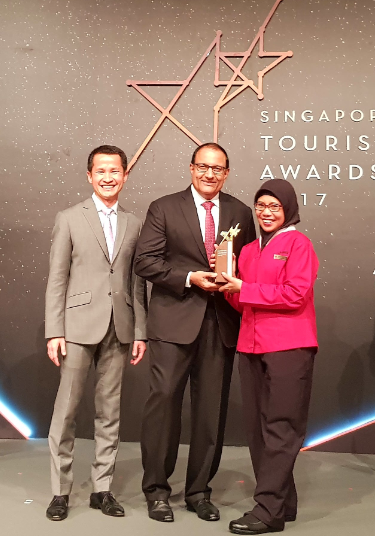 Organised by the Singapore Tourism Board, the Singapore Tourism Awards celebrates and recognises individuals and organisations in the tourism sector for delivering outstanding experiences and demonstrating enterprise excellence.